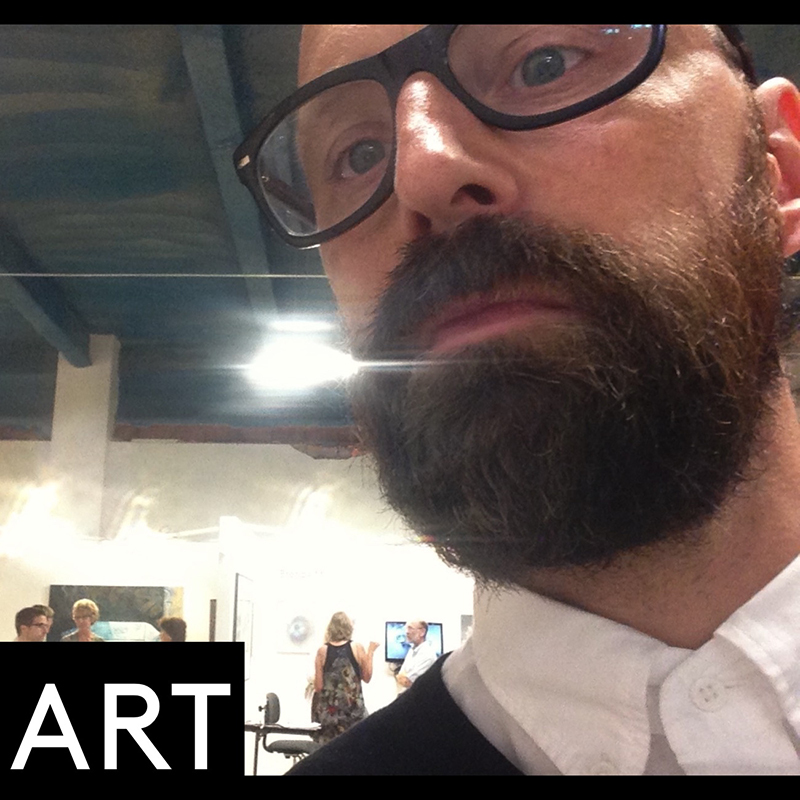 Image caption: self–portrait taken at echo | Art Fair | Buffalo, September 2014. 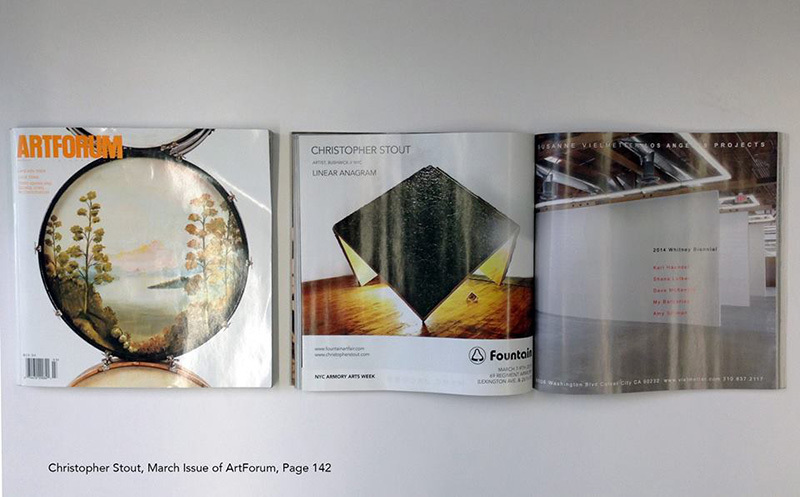 To follow is an abbreviated view of notable solo, art fair, and group exhibition projects which taken cumulatively, provide an helpful representation of my work. In a discourse about the philosophy of sound, the German electronic composer, musical visionary, and theoretician Karlheinz Stockhausen clarified, that “…what is important is neither linearity or non-linearity, but the change, the degree of change from something that doesn't move to other events with different tempos in particular." Christopher Stout was born and raised in Maryland and lives and works in New York City. He is an abstract reductive artist whose work addresses and places itself between questions the of “what is the construct of painting?” and “what is the construct of sculpture?” and is concerned with the additive outcome in merging the vocabularies of both disciplines. He lives in the West Village neighborhood of Manhattan and works from his studio in the artist neighborhood hwick, Brooklyn. Christopher Stout is the founder and director Art During the Occupation Gallery in Bushwick, which is not affiliated with his personal art practice. 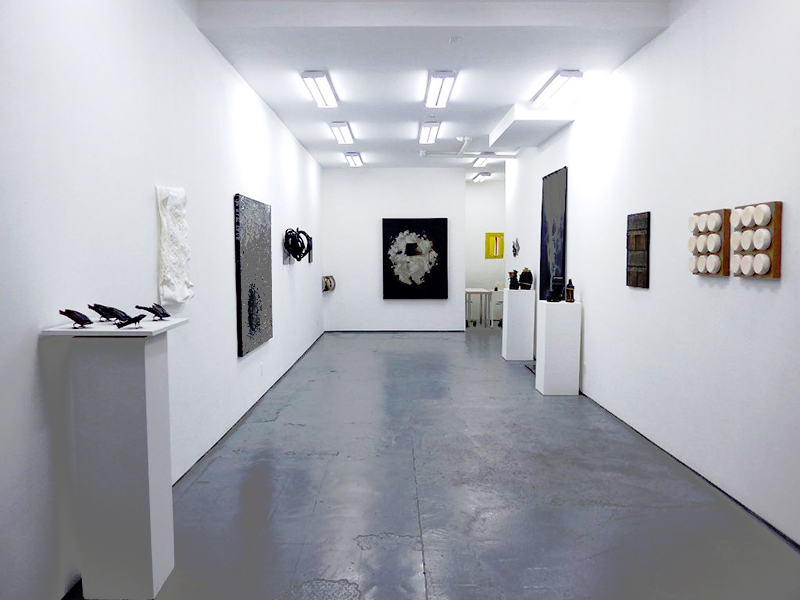 ADO Gallery is a contemporary art gallery showing subversive and difficult work by New York City artists. It serves as a platform for discourse on work that challenges authority paradigms, feminist, queer, anti-establishment, hyper- aggressive, mystic, and/or joyously sexual, with a focus on performance and video artists as well as on contemporary sculpture and painting. 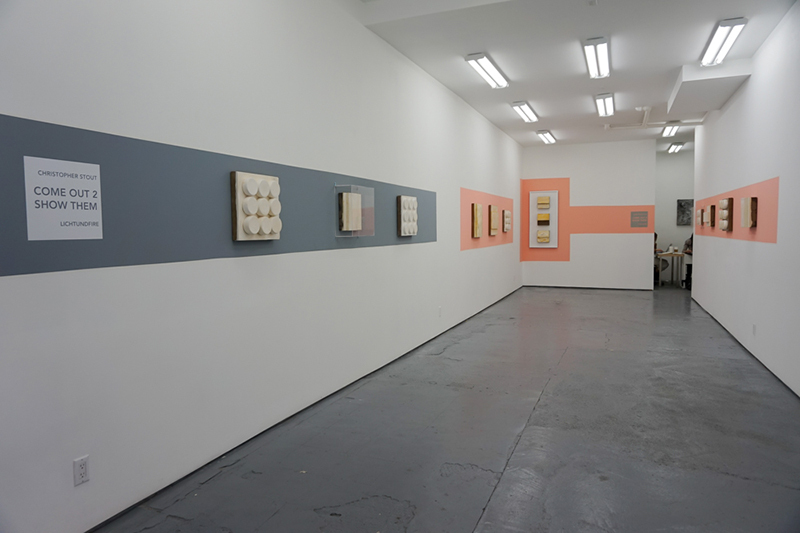 He was the founder of Bushwick Art Crit Group (2013-2016), Bushwick NYC's artist lecture and exhibition series, with a mission to foster an understanding of Contemporary Art through the lens of art and artists in Bushwick. 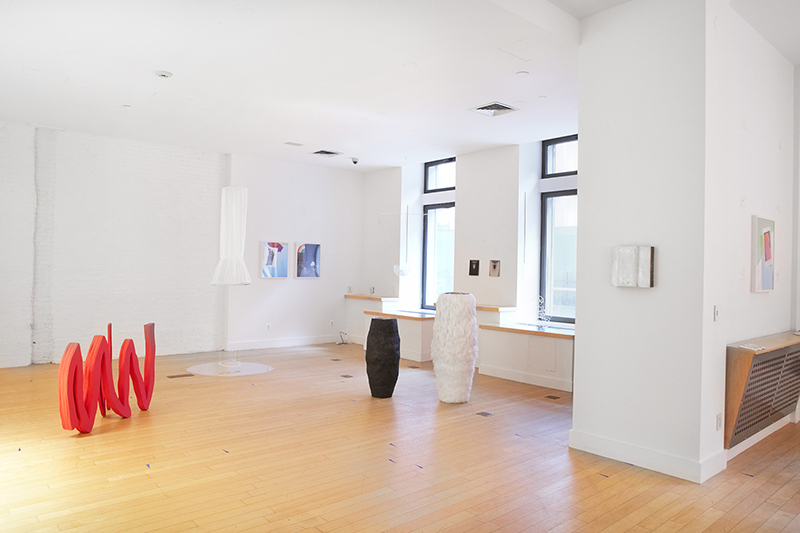 Stout has received numerous public accolades for his work as an artist, Bushwick gallerist and curator. 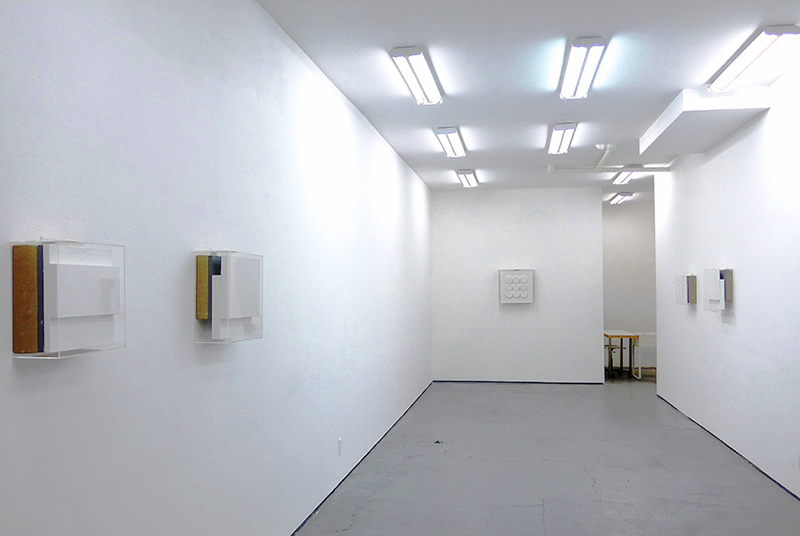 Christopher Stout's Solo Exhibition is on view at Lichtundfire Wed through Sat, noon-6 pm, & Sun.1-6 pm. For more information and images of SONIC OPERA, please contact Priska Juschka at info@lichtundfire.com, or via phone 917-675-7835, or visit www.lichtundfire.com. MW Projects is pleased to present Chaos/Control, a group exhibition featuring the works of Reut Asimini, Charlotte Becket, Christopher Beckman, Alva CalyMayor, Graciela Cassel, Amie Cunat, Jeremy Haik, Roxanne Jackson, Ambre Kelly, Aaron Krach, Alison Kudlow, Otto Milo, Jonathan Rider, Ross Sonnenberg, Christopher Stout, Brett Swenson and Jenny Wong-Stanley. The exhibition will be on view at the Doing/Living Marketplace, 218 West 57th Street, Second Floor, NYC from July 26 through August 26, with a public opening reception on Wednesday, July 26, 6-8pm. Through painting, sculpture, photography, performance and video, the 17 artists in the exhibition explore the duality of chaos and control, and how we occupy the space in-between. As we navigate our daily lives, isn’t it the unplanned moments that often bring the greatest joys? And do we actually gain control by letting go? Each work examines these questions in the creative process – revealing how artists alternate between chaos and control, and when an artwork takes on a life of its own. Exhibition Photography courtesy of MW Projects; photo by NYArt Photography. Lichtundfire is pleased to announce COME OUT 2 SHOW THEM, an exhibition of intimate-sized, abstract minimal paintings by New York-based artist Christopher Stout. 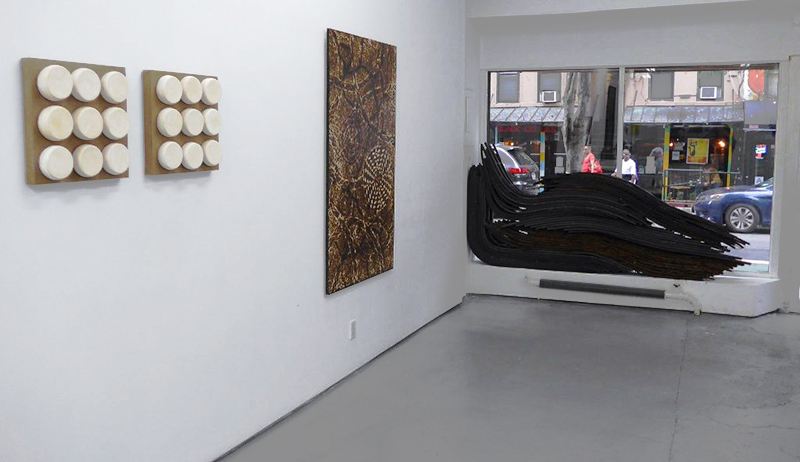 This marks the second New York gallery solo show by the artist, and also his second project with the gallery. Christopher Stout was previously included in the group exhibition, Chewing Tar, Industrial Materials in the Service of Art, curated by Linda Griggs. For this exhibition, Christopher Stout has conceived a new series of paintings, constructed from sanded cylindrical and rectangular-shaped plaster molds, and mounted on Belgian linen on board. This body of work conceptualizes visually the ideas and paradigms of the Western Reductivist movement, while at the same time exploring the creative traditions of the acceptance of transience and imperfection as expressed within the Japanese philosophy of Wabi-sabi. Strikingly similar and purist, but not quite perfect nor identical, the installation of these small size paintings hovers aesthetically and philosophically between the reductionist assumption that every thing and every idea can be reduced to its more simple and coherent form while taking into account, emphasizing, and shedding light on the imperfections which come with all things created. Lichtundfire is happy to announce Chewing Tar, a tightly curated group show by Linda Griggs, which sheds a light on artists working with non-traditional materials, usually used in a different non-art context. The use and inclusion of nontraditional, commercial materials to make art leaves the option for an infinite expansion of the creative field and encourages the redefinition of what has been perceived as distinguishably artistic. The exhibition includes works by Jarrod Beck, Graham Caldwell, Ula Einstein, Augustus Goertz, Allen Hansen, Rick Klauber, Bernard Klevickas, Alex Markwith, Peter Patchen, Jonathan Peyser, Judy Richardson, Patricia Smith, Greg Stone and Christopher Stout. From the catalog essay by Linda Griggs: “Chewing Tar brings together fourteen artists working with materials typically manufactured for non-art purposes. Included are roofing tar, fibrated asphalt, tire rubber, wood shims, aluminum oxide, Tyvek®, 3D printing, and fused plaster. These artists come to their materials differently. Some find that the material inspires the art. There is an irresistible attraction in shiny tar, shimmering aluminum, and thick, black rubber. For others, when a preconceived idea can’t be executed using traditional art supplies, non-traditional materials are sought out. In either case the industrial materials intended purpose is discarded in favor of its visual potential. This show differs from up-cycled shows in that the artists did not choose their medium based on its ubiquity as a discarded material … and offers a view of these non-traditional art materials focusing on the rich, the lush, and the refulgent, often showcasing the tactile or voluptuous qualities of the medium. 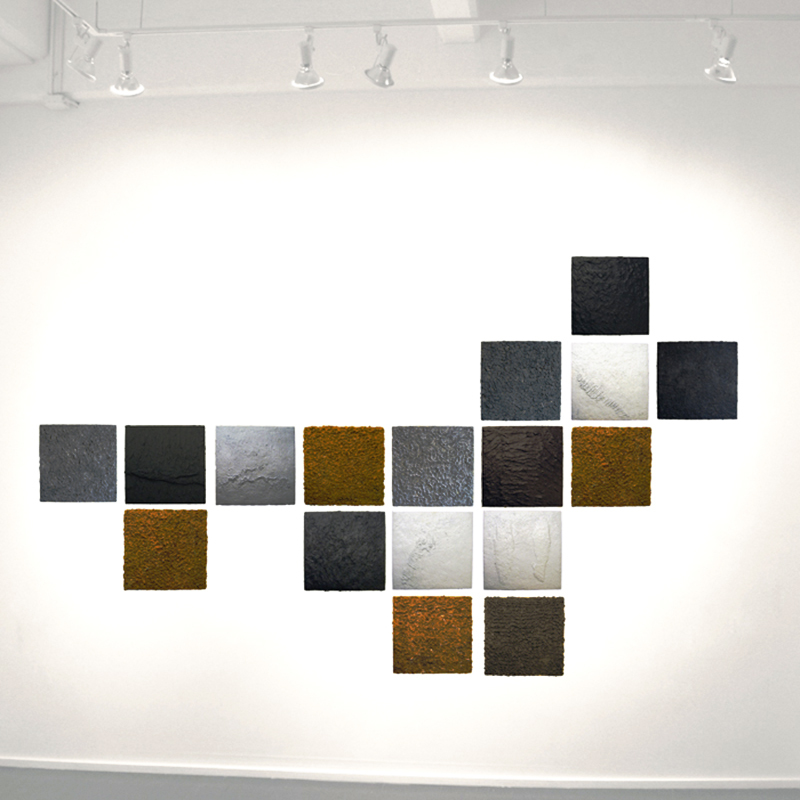 The artists choices, humble or high tech, present an element of surprise as we become aware of the materials original purpose and its newly elevated and highlighted significance in these handsome, visually textural pieces. Chewing Tar Lichtundfire is the second installment in the ongoing Chewing Tar series, which began with an exhibition at the UMASS Amherst Fine Arts Center, Hampden Gallery, March 2016. The title Chewing Tar refers to the childhood pastime of chewing on melting, sticky tar found on the side of the road in the summertime. ArtHelix is thrilled to present A.O., an exhibition of paintings by Christopher Stout—the artist’s second project with ArtHelix and his first solo at the gallery. 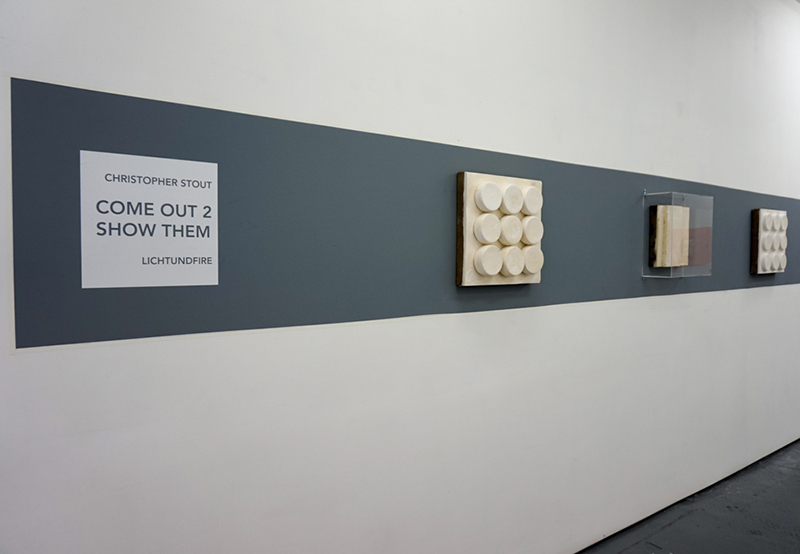 Best known for working with cement and shredded writing, this series marks somewhat of a material departure as many of the works are fashioned from fused plaster cylinders on museum panel. 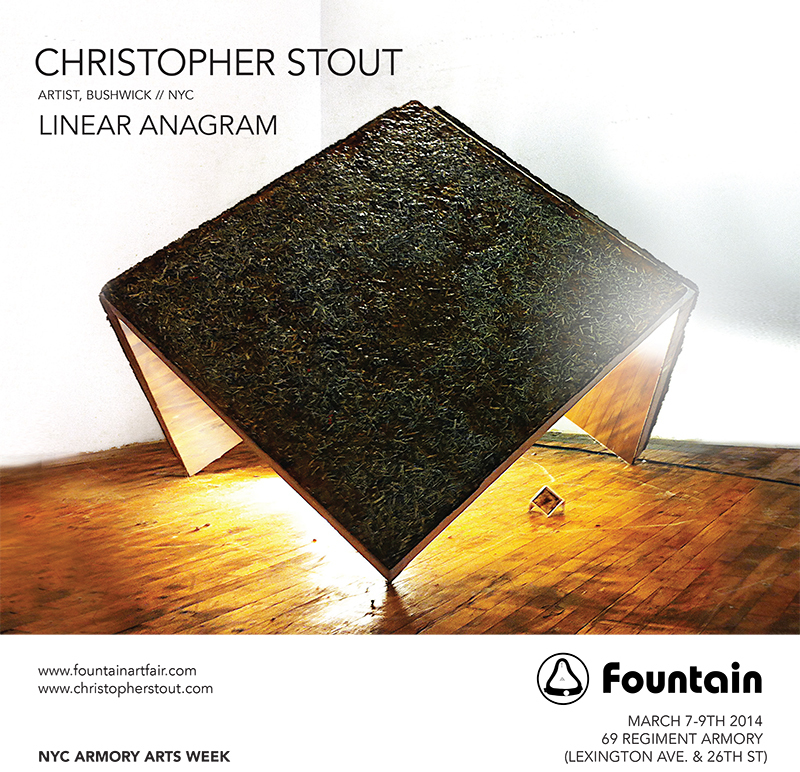 Christopher Stout is the Founder of Bushwick Art Crit Group (BACG), Brooklyn NYC’s nonprofit art think tank. 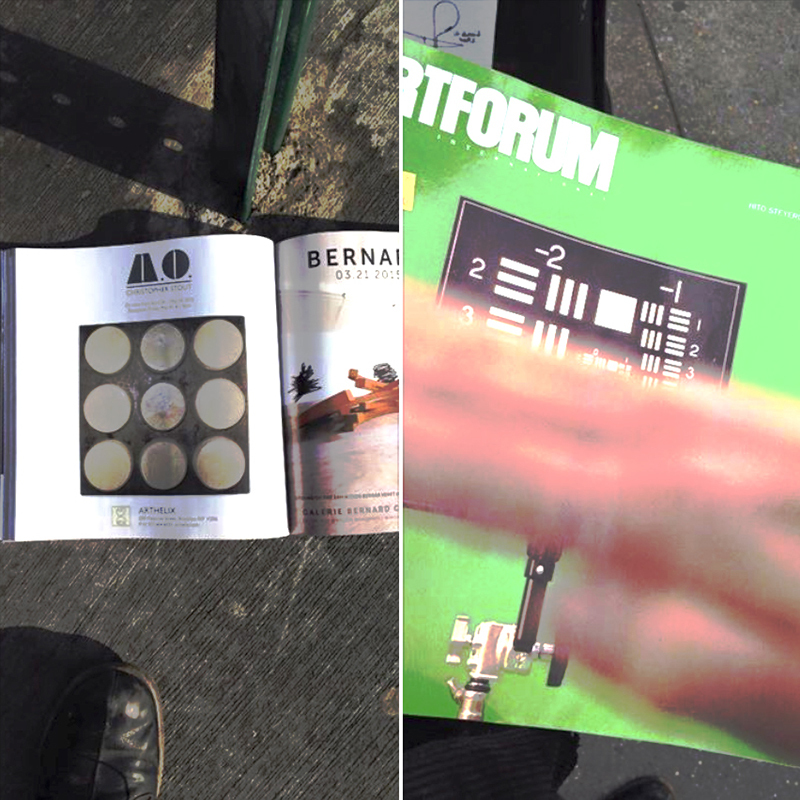 BACG is obsessed with understanding Contemporary Art through the lens of the art & artists in Bushwick. A.O. is on view at ArtHelix April 24th – May 17th, afterwhich works will be shown in a solo presentation at Select Art Fair during NYC Frieze Art Week. 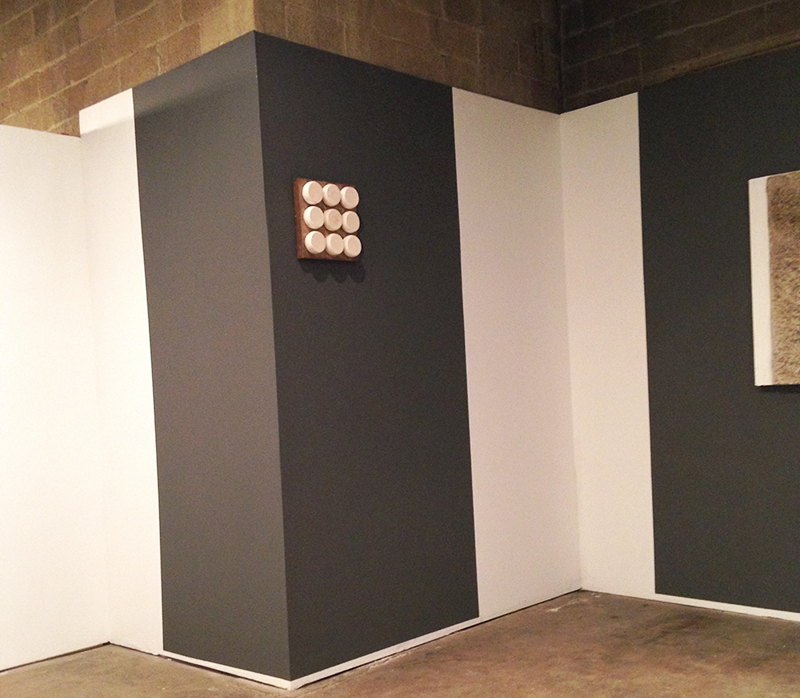 Linear Anagram was a solo installation project shown during NYC Armory Arts Week, April 2014 at the 69th Armory building, exploring societal constructs. 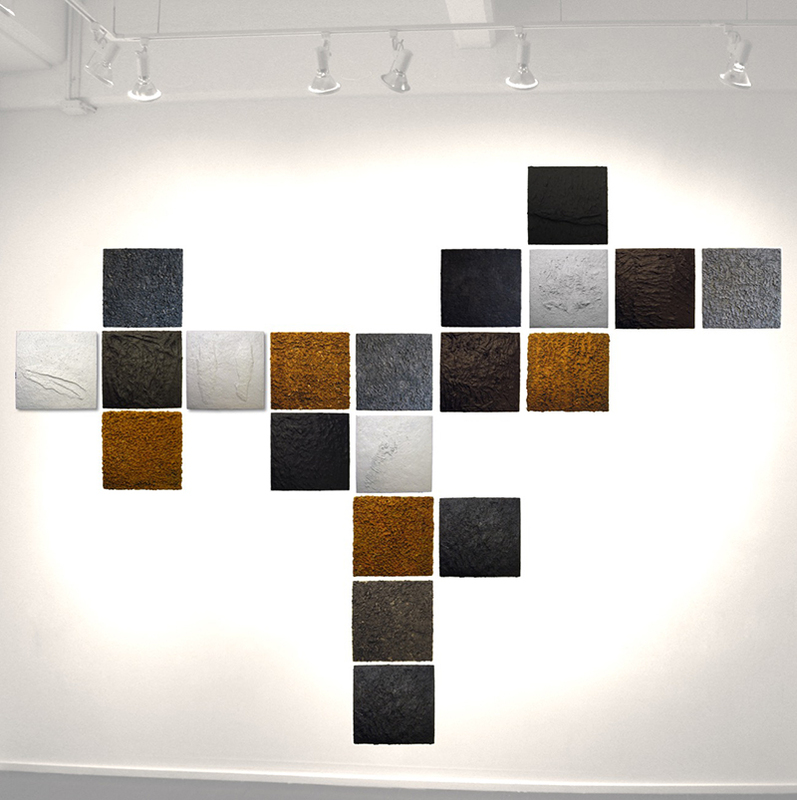 Power Symbols (Black White Gold + Gray) was a wall-based sculptural project of grid arranged 20x20” monochrome works, constructed from cement, plaster, shredded Wall Street Journals and paint pigment; and anchored by wire framing on Belgian linen on museum panel. 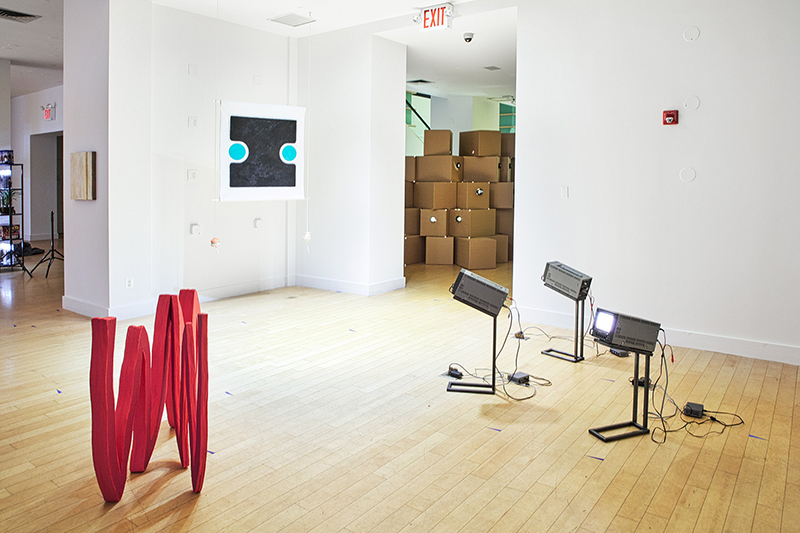 The work was conceived and produced during the economic crash in 2009-10 and explored power systems. 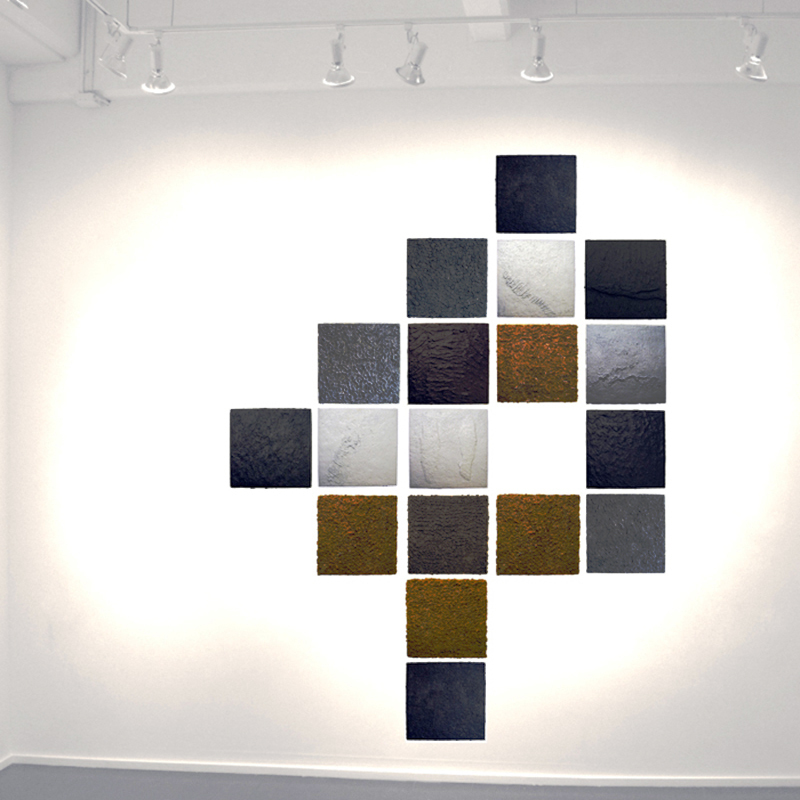 This project resulted in a myriad of individual monochromes shown in group exhibitions at the X-Initiative, Daniel Cooney Gallery, Lyons Wier, Hous Projects Gallery, Envoy Gallery, and ClampArt. In addition, monochromes from this work were shown during Bushwick Open Studios and donated at charity auction to support GLAAD, Acria, Bureau of General Services Queer Division, and NUTUREart. I would very much like that to realize this project in its original intent. To review the exhibition creative brief, please e-mail me at cs@christopherstout.com.